Talk about a Dream BlackBerry... 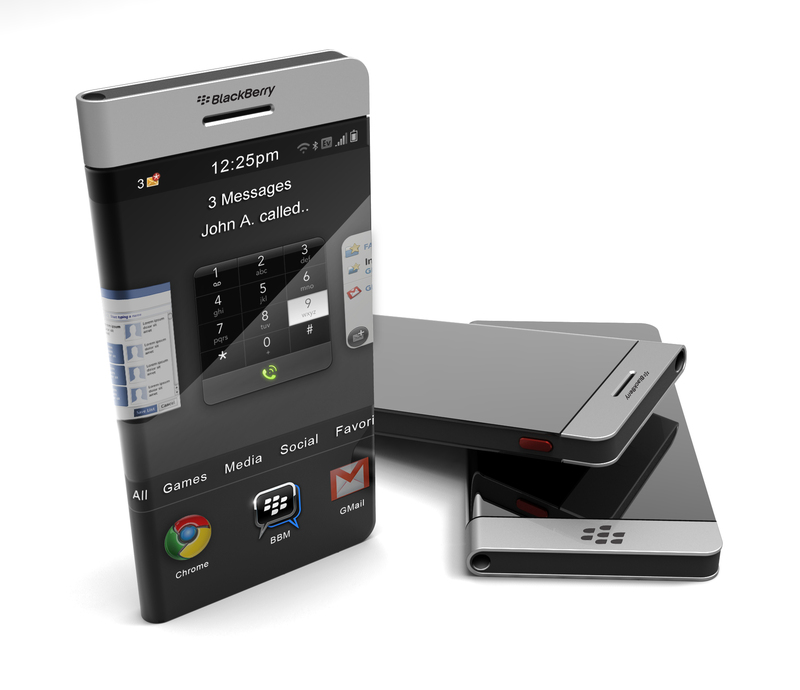 Introducing the Anastasiadis BlackBerry Concept! I know what you're thinking... WOW. Just WOW. We've received a lot of great feedback and reader submissions following our Tell Us/Show Us What Your Dream BlackBerry Looks Like post this week, and while I was planning on waiting until next week to start posting some of the sketches and renders up on the blogs, I just had to get this one up asap. What's really kind of crazy and as John pointed out to us, is that this isn't truly a DreamBerry... the technology to build a phone with these sort of features already exists. I'm not sure about you guys, but I wantz one NAO!! 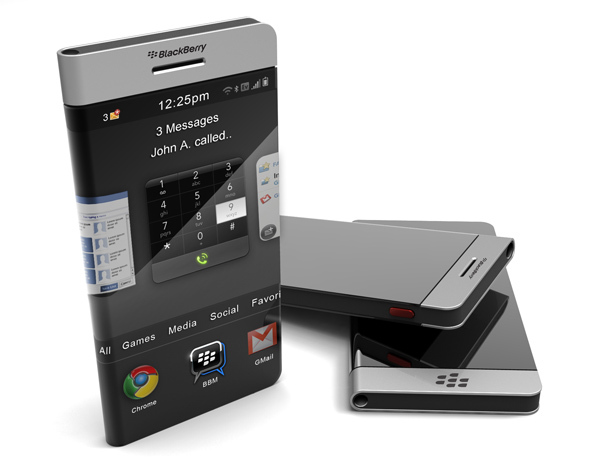 So what do you think CrackBerry Nation? Hot or HAWWWTTT?! Stay tuned for more DreamBerry renders and be sure to sound off in the comments with your reactions. And to see more of John's creations, you can jump over to his portfolio here. Thanks for the submission John... awesome stuff!